Yarn Type A fun, brightly coloured textured yarn. We are launching this amazing yarn in 5 gorgeous shades, each one has a colourful fleck running through it. 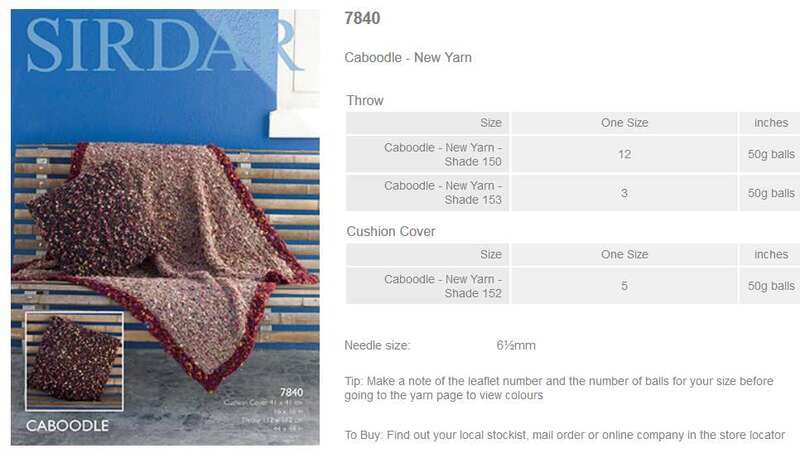 This is a yarn that is perfect for stylish knits and homewares and our 6 leaflets reflect that with a selection of easy knit accessories, cardies and sweaters that look amazing teamed with a simple pair of jeans. Weekend dressing just got seriously fun! Machine washable. Wool Cycle. 64% Acrylic, 36% Polyester. Leaflet with designs for a Throw and Cushion Cover using Caboodle. 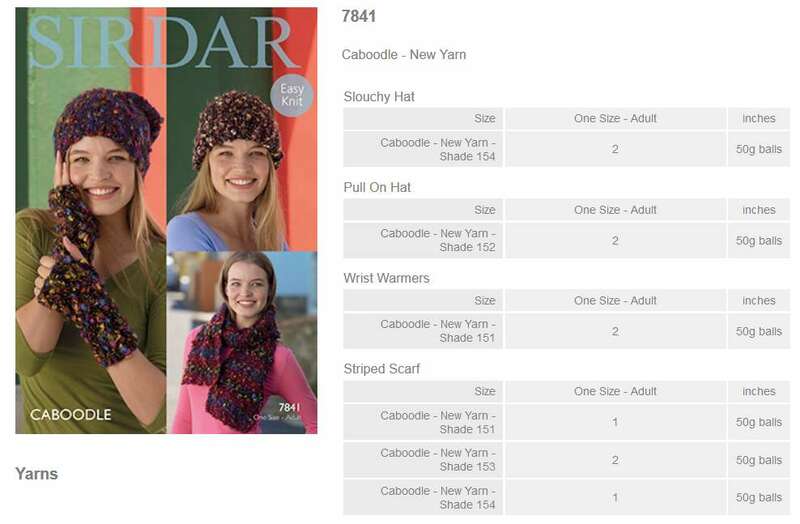 Leaflet with designs for Hats, Wrist Warmers and a Striped Scarf using Caboodle. 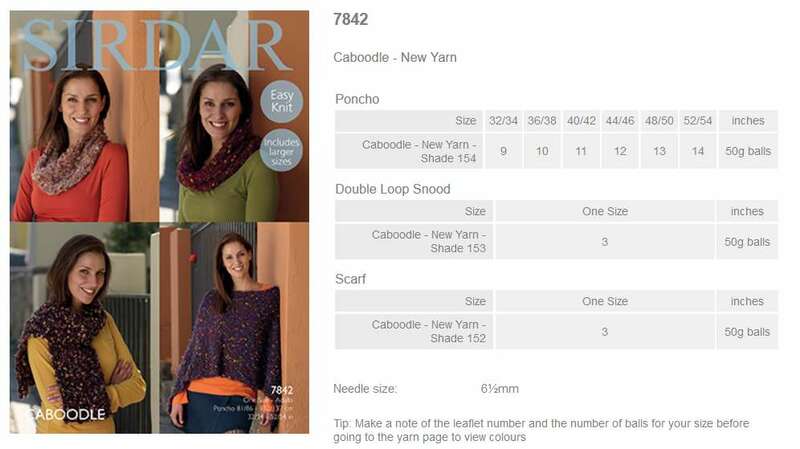 Leaflet with designs for a Poncho, Double loop Snood and Scarf using Caboodle. 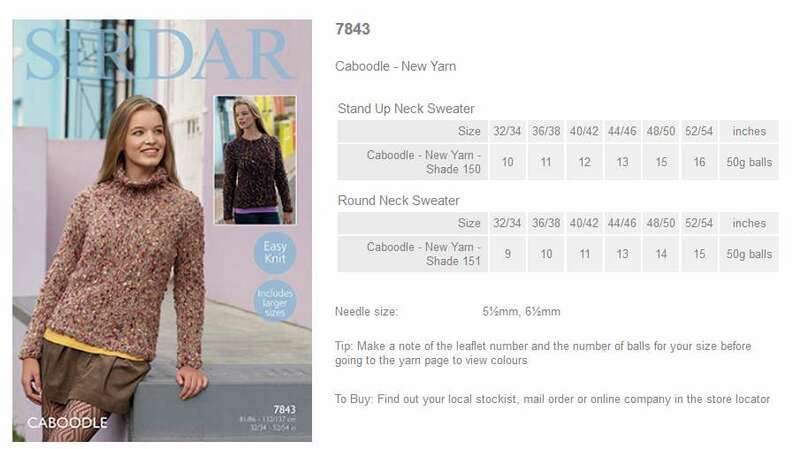 Leaflet with designs for a Stand up Neck Sweater and Round Neck Sweater using Caboodle. 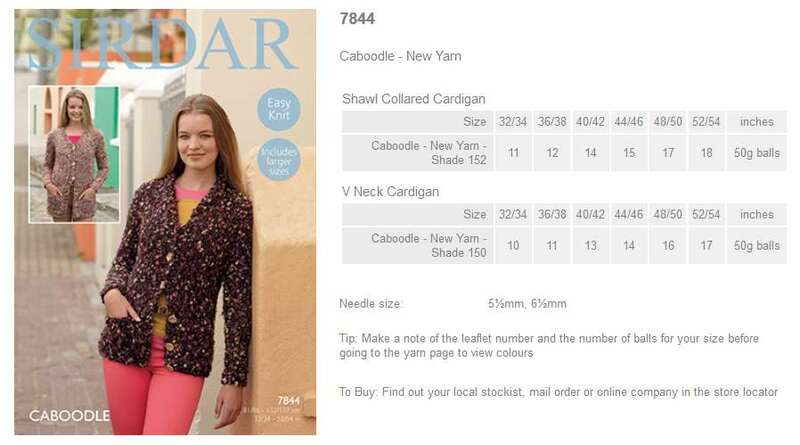 Leaflet with designs for a Shawl collared Cardigan and V Neck Cardigan using Caboodle. 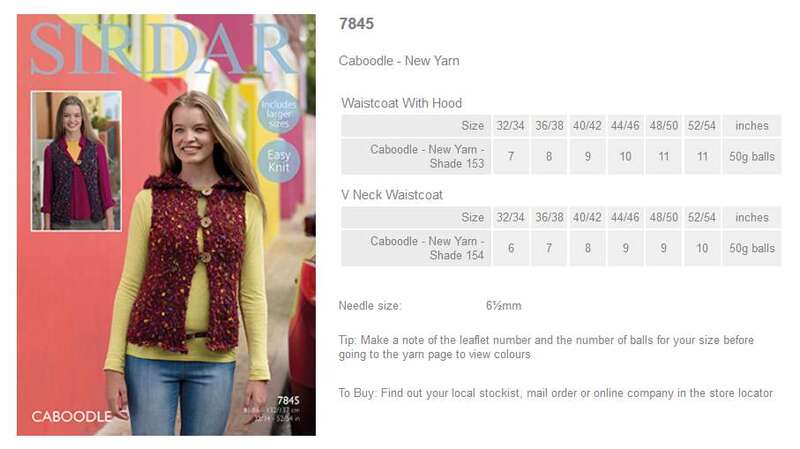 Leaflet with designs for a Waistcoat with Hood and V Neck Waistcoat using Caboodle.